Recognize Past Achievements. 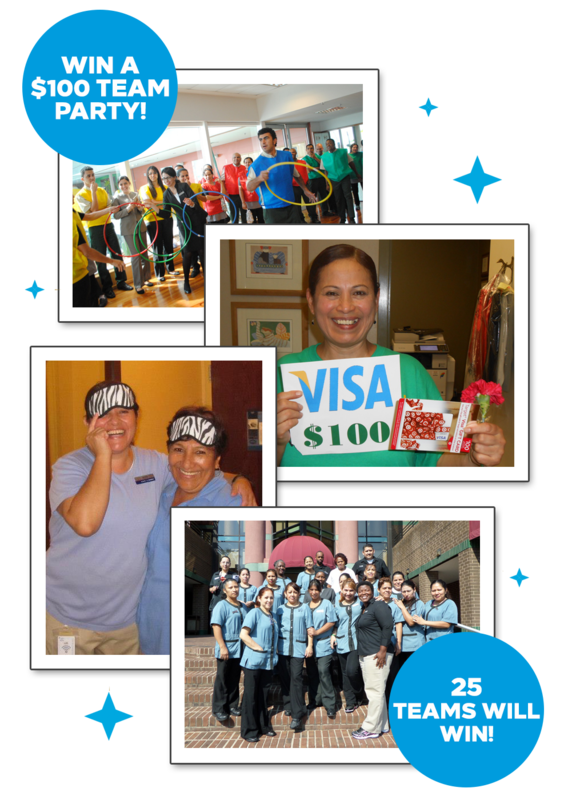 Hilton Minneapolis, MN, uses Housekeeping Week as a time to recognize Team Members who had perfect attendance for the year—and surprises them with a prize, or a free day off! You can also extend this recognition to other achievements, like service anniversaries, cleanliness scores, and more.